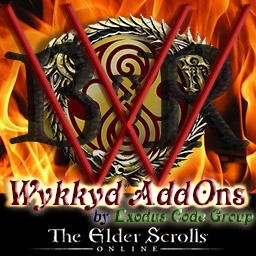 This suite will be updated very frequently due to the number of addons it includes. You are welcome, of course, to download any of the embedded addons directly at any time. This suite is being provided, by request, as a convenience for those who use all of the included addons and desire a one-stop-shop to update them all. Updated Toolbar - minor bug fix and additional range in settings. Updated QuestTracker - Minor bug fixes. Updated QuestTracker - Various bug fixes. Look for new features in the rewritten addons as I move forward with this overhaul. Please submit ideas and comments on the individual addon page. Updated Achievement Tracker - Bug fix for Auto Track Achievements for current Zone. Please leave comments for any of the addons included in the Gaming Suite within their respective comment sections. If you have a bug, please submit it using the BUG button under the DOWNLOAD button on the right of the Gaming Suite description page. The Gaming Suite Change log will contain a summary of what components were updated. Details for each addon updates can be found on their respective pages.